Greetings from Dolega, thank you to our God for allowing us to have a part of His work and to be able to rejoice while we work for Him. Here is a report of what we ́ve been up to down here in Panama. It would appear that these last few months have been trying for our church but at the same time full of blessings. 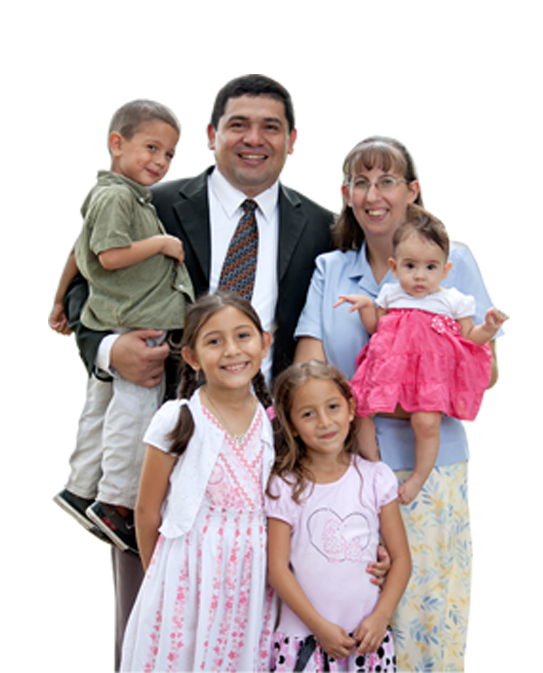 Satan has tried to discourage some families but God has given them His strength to be able to continue their race. Bro. Evimiro ́s hand was cut with a machete by his uncle, he was hospitalized and now, thank the Lord, he is at home recovering. Bro. Ruben had an accident with the bus he was driving, he was in a coma for 12 days, praise the Lord he woke up and now is on his way to recovery. The stories could go on but instead we are just going to ask you to pray for our church. This month, September, we celebrate our church ́s 10th Anniversary, we are excited that after all this time we Minally have our own land, our own building under construction, faithful brethren, and a church who loves our Lord Jesus Christ. We still have a ways to go to be able to Minish our building, Some of the materials that we need include: plumbing $2,000, bathrooms $2,000, walls $2,000, A/C $3,000, plastering $2,000, concrete Mloors $2,000, tiles, Windows, ceiling tiles, electricity, toilets, etc. If you can consider us in any of those áreas we greatly appreciate it. I want to thank God for putting us in the paths of churches and individuals who have have helped us sacriMicially to buy our land and to build our church building, we know that God has done it all and to God be the glory. We were able to send one of our young adults, Johana, to study in the states. If the Lord allows it we will be sending two more. What a blessing it is to see young people with a desire to serve God and prepare themselves for the ministry. Our family is doing well at the momento, praise the Lord. Evelyn is in her 5th grade of homeschool, Emily in 2nd and Rafael 1st. The Mive Marcucci sisters are also doing well. We had six groups visit us over the United States ́ summer months and we are making plans for three more groups before this year comes to an end. We encourage you to plan your mission ́s trip, there ́s work to be done, souls to be won, and fun to be had while serving our Lord.